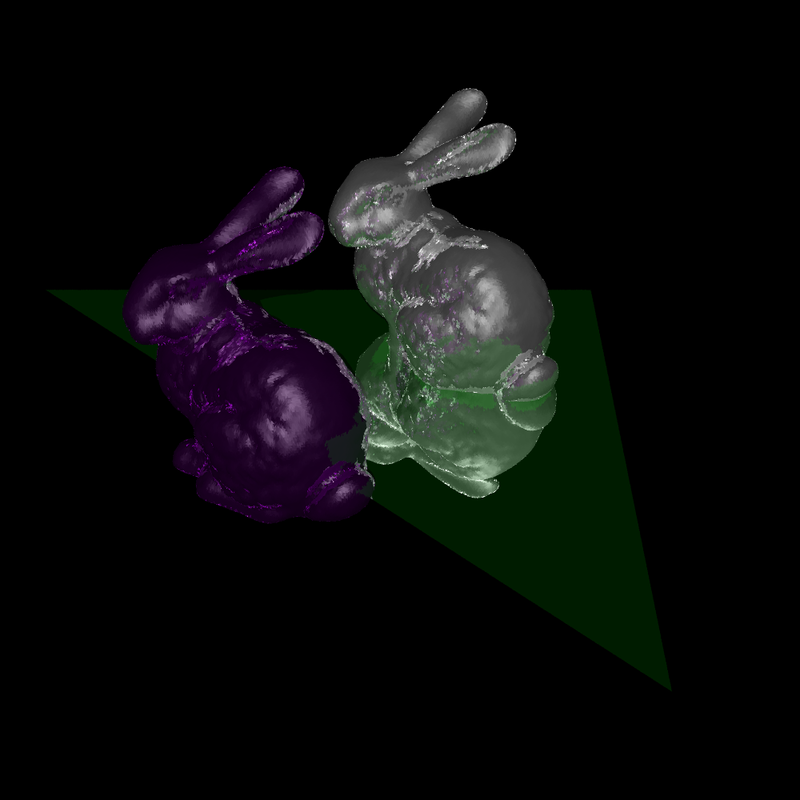 I've been working on a new ray tracer recently, but after adding reflections I'm seeing these strange small highlights on my models, particularly on the ear of the silver rabbit below. I've read that these can be caused by my reflection rays re-colliding with the object they're reflection from, but I believe I'm properly accounting for this by slightly translating the outgoing rays away from the intersect point. They also seem to consistently occur on the same parts of the model (the ears, and "creases") regardless of the scene. I am taking 8 random samples per pixel, which seems to help a bit, but not entirely. Any thoughts on what could be causing this? is it possible that I'm simply not taking enough samples or structuring them well enough? So this does in fact seem to be a self-collision issue. I was able to determine this by giving each triangle/sphere an ID and filtering that ID out when checking collisions. Not the answer you're looking for? Browse other questions tagged raytracing rendering or ask your own question.